Andrew Leighton stands accused of shooting his mother to death Friday in their home. 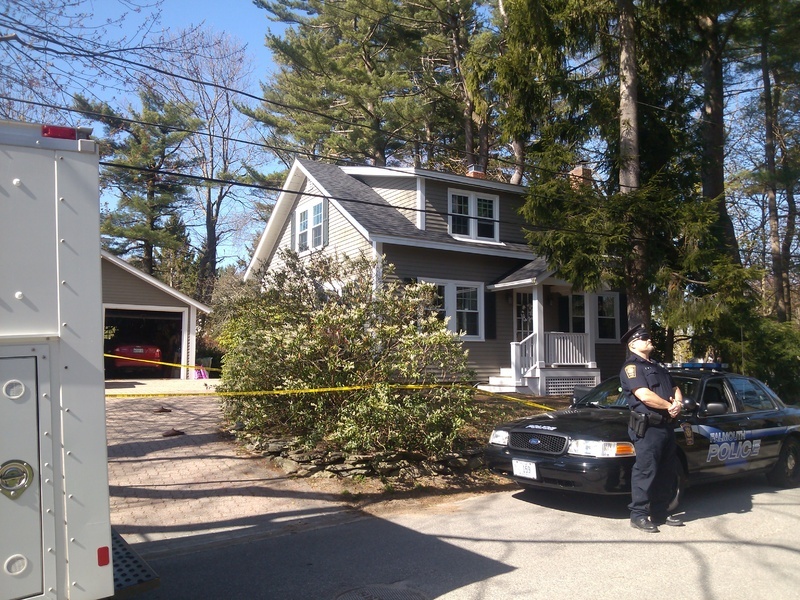 FALMOUTH – Andrew Leighton, the 46-year-old man accused of fatally shooting his mother Friday and then barricading himself inside their Falmouth home, has been cooperative with investigators, authorities said Saturday. Maine State Police Sgt. Chris Harriman said Leighton had been living with his parents at 19 Edgewater Road for six years, following a divorce. Harriman said Leighton had been married at least twice. “He came back here to get back on his feet and I think he never left,” Harriman said. Leighton’s mother, Shirley Leighton, 68, was pronounced dead at the scene. Her son, who surrendered late Friday, has been charged with murder. Edgewater Road is a small street off Foreside Road, just northwest of Mussel Cove. It’s a quiet, well-to-do area near the Falmouth Forest Preserve and Casco Bay, in a town with little violent crime. The Leighton home is small and neat, perched on the narrow road near the top of a hill overlooking the water. No one answered the door at the home Saturday afternoon and most neighbors said they didn’t want to talk about the incident or the Leightons, although one resident of the neighborhood said Shirley Leighton never mentioned she had a son, let alone that he was living at home. A makeshift memorial appeared near the scene Saturday morning. A young girl wrote on the pavement, “We are sorry” and “God bless you” in chalk. Flowers were placed on the side of the road next to the chalk writing and more flowers could be seen at the corner of the detached garage, near a rear door to the home. Investigators were still processing evidence in the area early Saturday morning. A technician carefully bagged a pair of brown slippers that lay outside the house, as more police arrived and canvassed the neighborhood. A state police evidence van and a Falmouth police car were parked in front of the Leighton home, and the property was cordoned off with police tape in the morning, but by afternoon the area was quiet and police had departed. 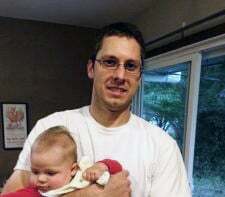 Andrew Leighton is being held at the Cumberland County Jail and will have his first court appearance Monday or Tuesday, state police spokesman Stephen McCausland said. The shooting was reported late Friday afternoon by Shirley Leighton’s husband, Thomas Leighton. He discovered his wife’s body after returning from walking his dog, McCausland said. Thomas Leighton called police from a neighbor’s home, Harriman said. When police responded, a standoff developed between Andrew Leighton, who had a handgun, and the officers. Falmouth police said Andrew Leighton was “possibly suicidal” and they called for help from the Cumberland County Sheriff’s Office tactical squad. After Andrew Leighton surrendered about 11 p.m. Friday, officers went into the house and found Shirley Leighton’s body in the living room. 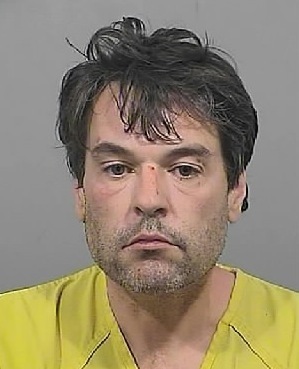 Andrew Leighton was taken to Maine Medical Center for an evaluation and was charged with murder when he was released. Harriman said there was no sign of a struggle inside, and that investigators have a firm idea of what happened, although he declined to elaborate. “It’s pretty clear to us what went on,” Harriman said. The handgun used in the shooting was legally purchased, although police are still trying to determine its owner, he said. An autopsy could be done as early as Sunday. Don McMaster, a neighbor, said Saturday that he went out for pizza around 5 p.m. Friday and returned to find police had blockaded the neighborhood. He waited more than five hours to return to his home. “They evacuated a lot of the houses,” McMaster said. Gay Pearson, another nearby resident, said she was confused by an automated call she received around 6 p.m. that instructed her to stay indoors because of a person nearby who was suicidal. Pearson said she didn’t know the Leightons well, but Shirley Leighton had given her a ride home about a week ago after the two saw each other at a nearby hardware store. She said Shirley Leighton had told her about a daughter who lived in Vermont, but never mentioned her son. Pearson said she doesn’t recall ever seeing Andrew Leighton around the neighborhood. Pearson said she believed that Shirley Leighton was retired but doing seamstress work from her house. She also liked to garden at the family’s home, she said. According to state records, Andrew Leighton had no criminal history.